Veronica Cap from Sun wear collection by Masumi Headwear is the perfect choice for fashionable women living with hair loss. The innovative chic elegant simple design of this look makes you look sophisticated and cool. This beautiful hat is made from softest most elegant fabrics such as softest linen and most elegant cotton material inside the cap, giving you that silky soft feel, at the same time keeping you cool and comfy. 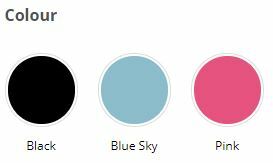 Veronica hat comes in three different colours ‘Black’, ‘Blue’ and ‘Pink’ perfect for coordinating with a range of outfits. Whatever the occasion and your style, you’ll find that the Veronica headwear from our Sun Wear collection effortlessly combines elegance, luxury and comfort to suit your modern lifestyle.